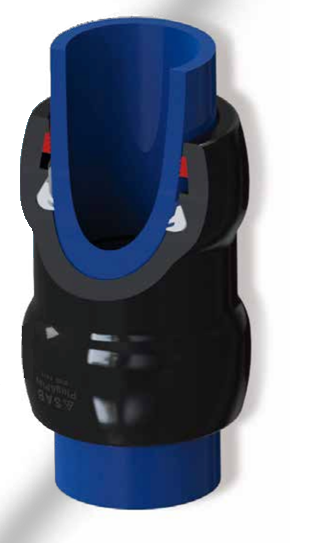 Amagrip pushfit end restraint fittings - CASCADE PLC - The new home of Cascade Clamps UK Ltd, Suppliers and Manufacturers of pipe fittings to the water & gas industry. Cascade Amagrip range of Pushfit End-Restraint fittings, are a Type 1 fitting, meaning that the pipe will fail before the fitting. These fittings are simple to install and can be used in all conditions/environments and are easier to install than electrofusion. Rated to a working pressure of 16 bar and are fully WRAS approved. Body made from Polypropylene Coplymer to BA160E 8229-01. Grip Ring - Polyoxymethylene + Glass Fiber - lupital F42025. Simple, quick and reliable.. no welding or tightening required. - For technical specifications and size detail please see our downloadable TechSpecs below.